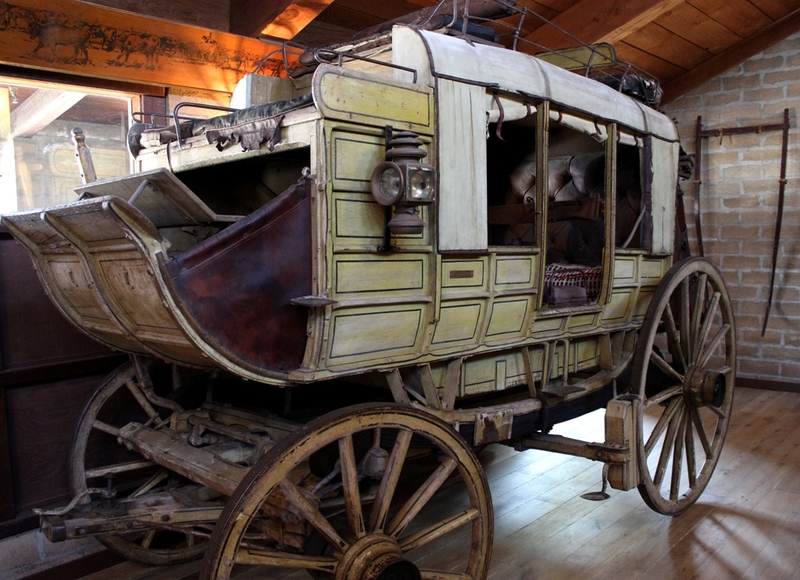 From 1861 to 1901 Santa Barbara was linked to the rest of California and the world by stagecoach. Evidence of the historic route leading upstate over the Santa Ynez Mountains can still be seen in a few locations. Along a thin, sandstone capped ridgeline in the mountains above Goleta, a section of the old road crosses an expanse of exposed bedrock. Tracks left behind by stagecoaches and horse drawn wagons and carriages remain worn into the sandstone some ten- to twelve-inches deep or more. The parallel grooves are remnants of the original San Marcos Pass route that was built by Chinese work crews using picks, shovels and wheelbarrows. The Slippery Rock route was closed sometime around 1892 after the owner of the property the road ran through, Tom Lillard, got tired of drivers leaving his gate open and cows straying. A new route was graded up a ridge to the east of Slippery Rock or what is today known as Old San Marcos Pass. Looking up Slippery Rock showing the two wheel tracks and the traction ruts carved horizontally across the wheel grooves. Looking down Slippery Rock. 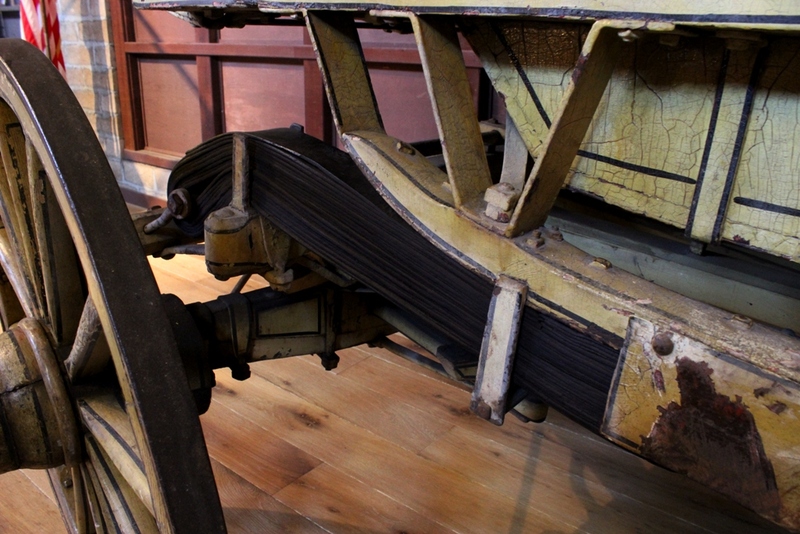 Two different sets of wheel ruts are visible here, along with the horizontal traction grooves for horses. Once the first set of wheel ruts became worn too deeply a new set was carved. A closeup view of the ruts and grooves. Looking up the old road above Slippery Rock. A narrow section of the road barely wide enough for a stagecoach to slip by pinched between a cliff on the left and and wall of stone on the right. State of the art suspension: rawhide straps. 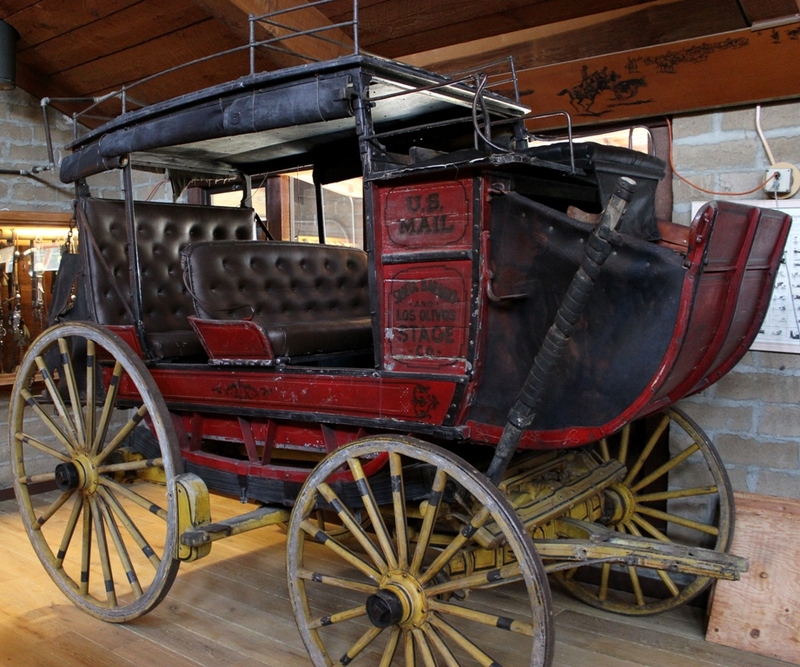 Both of these historic stagecoaches can be seen at the Santa Barbara Carriage and Western Art Museum. 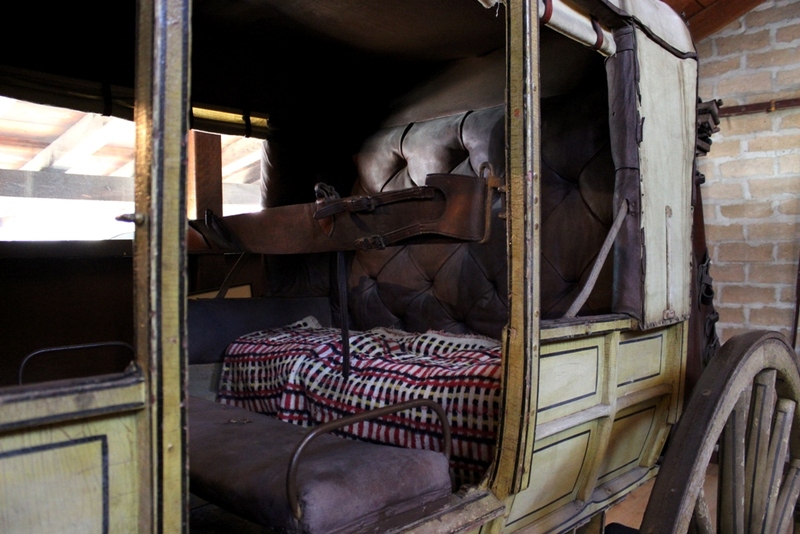 The yellow carriage was actually one of the last mudwagon stages in use over San Marcos Pass. This entry was posted in Santa Barbara County and tagged Hiking, History, Landscapes, Non-fiction, Old West, Photos, Pics, San Marcos Pass, Santa Ynez Mountains, Slippery Rock, Stagecoaches. Bookmark the permalink. Super interesting – love it! Great write-up and photos comparing the historic scenes to how some sections of the track look today. I’ve always wanted to to check Slippery Rock; just never made it out there. Amazing! I am so happy I came upon your blog! VERY interesting! I really like historical photos that have great narrative attached to them. This was really good. Is Slippery Rock an extension of Fairview Rd. or Patterson Ave.
It’s in line with Fairview, if you look up the length of the road it runs directly toward Slippery Rock, but not an extension of it. About 1950 my husband and I rode from Hope Ranch and up Fairview Avenue to where Slippery Rock continued. Later about 2000 I hiked with friends down from the top. A stunning span of history in use from 1861 to 1981. Ok, where is this slippery rock location?